AESA radar makes the workload of the pilot that much easier to manage with a high probability of mission success. It has the capability to track and destroy multiple targets simultaneously in the air and on the surface from stand-off distances. The Defence Research and Development Organisation (DRDO) has successfully developed technology for the cutting edge Active Electronically Scanned Array (AESA) radar in-house. It now wants to share the technology with private firms interested in producing it, reports The Economic Times. Electronics and Radar Development Establishment (LRDE), which is part of DRDO, lead the development of the AESA radar and has offered the Indian Industry four licenses and has asked interested firms to submit their profiles and apply for transfer of technology. The Indian Air Force has made it mandatory that every new fighter aircraft it purchases will come fitted with AESA radar. 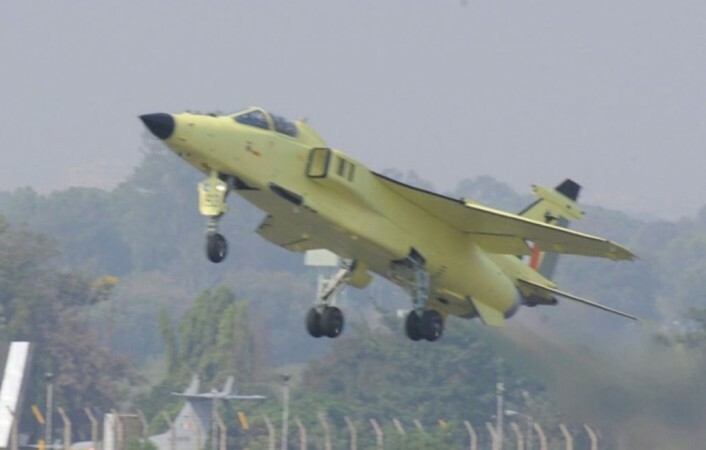 Work is on to integrate the radar on the indigenous Tejas light combat aircraft. According to DRDO, an AESA radar makes the workload of the pilot that much easier. It has the capability to track and destroy multiple targets simultaneously in the air and on the surface from stand-off distances. In the IAF, 58 Jaguar deep penetration strike aircraft, which form part of the nuclear triad, are being equipped with AESA radars. These radars have been supplied by ELTA of Israel. What is the AESA radar? Compared to conventional radar such as the passive electronically scanned array (PESA) N011M fitted on the IAF's frontline Sukhoi Su-30 MKI fighter, an AESA radar has a fixed antenna from which radio beams are transmitted into different directions without moving the antenna. The antenna has a number of small transmit/receive modules, working independently of each other, which are connected to the main computer which functions as the transmitter/receiver of the antenna. Compared to this arrangement, the PESA radar has a moving antenna, which is connected to a single transmitter/receiver through phase shifters controlled by a computer. While the PESA can emit only one beam of radio waves at a single frequency at a time, the AESA is capable of radiating multiple beams at multiple frequencies in one go. Using a wide range of frequencies, platforms equipped with AESA radars remain hidden while at the same time radiating powerful radar signals to detect, track and destroy targets. All modern fighter aircraft like the fifth generation F-22 and F-35, Eurofighter Typhoon, F-16 Block 70 and Dassault Rafale, 36 of which are slated to join the IAF in 2019, are equipped with state-of-the-art AESA radar.